MLB reports – Jonathan Hacohen: It is very difficult to go through nearly four months of baseball withdrawal until live spring training games commence. After the last pitch of the World Series is completed, baseball fans are left to hibernate in their homes and prepare for the next season. Talk of Winter Ball. The Arizona Fall League. Free Agency. Winter Meetings. Great topics to keep the baseball talk alive during the winter. But this is not always enough. Baseball fans need their fix. In the technology age we live in, there is the internet, dvds and Blu-rays. 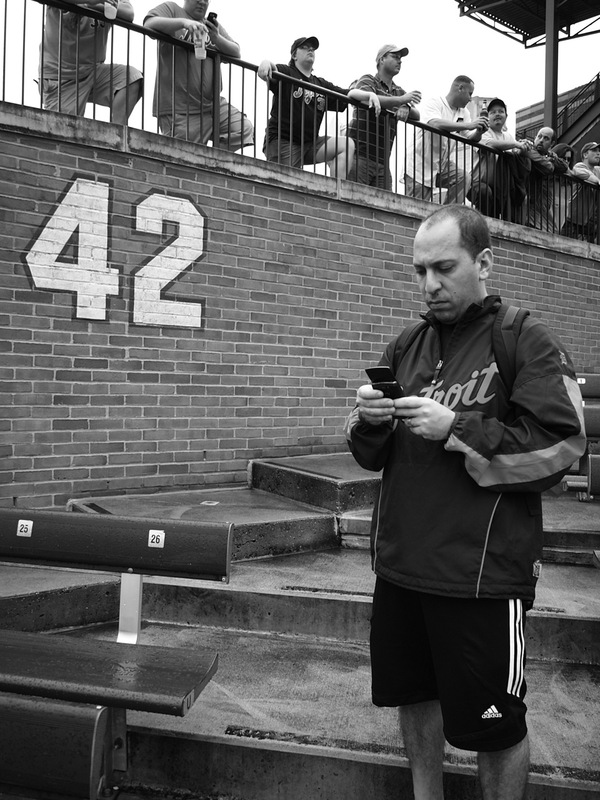 Classic baseball games can be viewed with one press of a button. For those that long for the mix of Hollywood and baseball, there is nothing finer than baseball movies. The best one to come along in some time was the 2011 blockbuster “Moneyball”, starring Brad Pitt and Jonah Hill. If you are in need of a baseball fix, Moneyball is for you. On Saturday I went back to watch Moneyball in the theatre. Again. I simply can’t get enough of this film. The running time is over 2 hours long, but you don’t feel it. 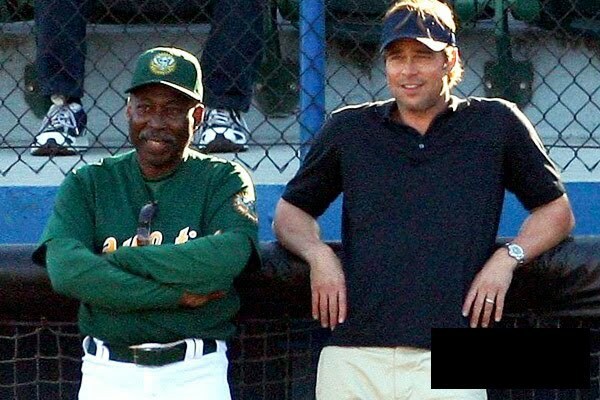 Moneyball, simply put, is a great movie. It has a strong story line, excellent performances by its cast and the movie just flows very well. From Brad Pitt as Billy Beane, Jonah Hill as Peter Brand (Paul DePodesta), Philip Seymour Hoffman as Art Howe, Casey Bond as Chad Bradford, Stephen Bishop as David Justice- everything clicked in this movie. The good news is that the movie will be available on DVD and Blu-Ray for your viewing pleasure. The bad news is that you have to wait until January 10th, 2012. For those of you hoping to have a copy of this movie in your hands by the holidays, you will need to wait just a little longer. 1) The Movie is out of date: The Oakland Athletics are a losing ballclub and Moneyball is no longer relevant. 2) The movie neglects to discuss key players like Nick Swisher and Jeremy Brown, focal points in the book. 3) Art Howe is unfairly portrayed in the movie as compared to the book. 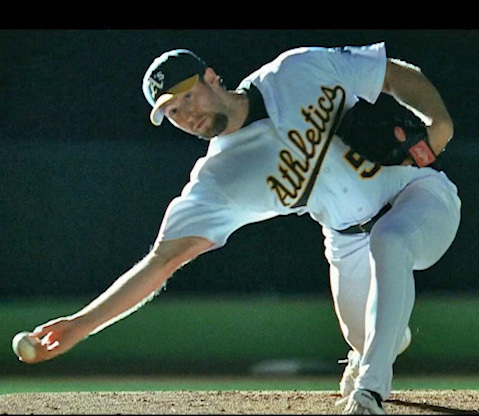 4) For all the success of Moneyball in 2002, the movie does not bring up the Big-3 of Barry Zito, Mark Mulder and Tim Hudson (who many point to being the direct reason for the team’s success, rather than Moneyball). 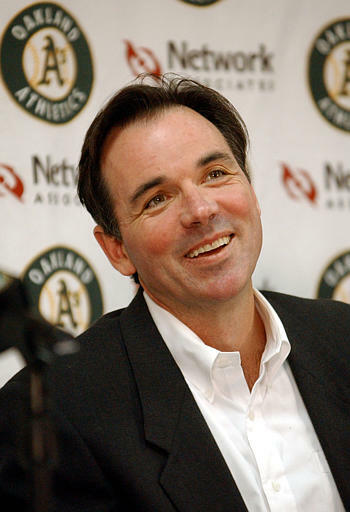 5) Billy Beane actually took the Red Sox job and then changed his mind. The list goes on and on. Here is the bottom line. A Hollywood is easy to critique and find faults and mistakes. But a movie needs to be taken for what it is. A movie. Even for baseball experts, take a movie for what it is and just enjoy it. If you are going to rip fault into Moneyball for being irrelevant, think again. The Oakland Athletics did not become a losing ballclub since 2006 because Moneyball stopped working. It became a reality that every other ballclub start doing what the A’s were doing long before anyone else. Using that thought process, Moneyball is a landmark film to showcase the entire approach of Major League Baseball and how its teams changed their approaches. The Moneyball approach is very much relevant and continues to be in play today. It just so happened that everyone else caught up to Oakland and now they need to continue to adapt. If you love baseball and you love movies, make sure you get out to a theatre to watch Moneyball one more time before it arrives on Blu-ray and DVD. Moneyball will go down as one of the best baseball movies of all time and you will want to remember the movie on the big screen for the full experience. From there, starting January 10th, 2012 (mark the date on your calendar), you will be able to enjoy the movie at home for years to come. A great baseball movie. The perfect remedy to a long baseball offseason.